Ideally situated for travellers and visitors, our hotel is a 5 minute walk from the departure lounge at East Midlands Airport. 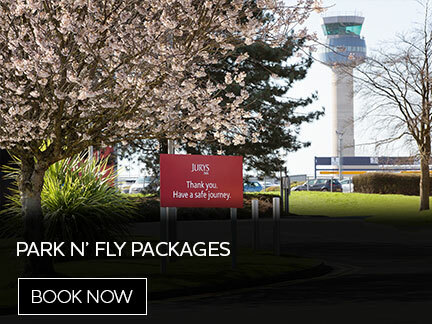 As we’re the only on-site hotel and Car Park at East Midlands Airport, our convenient location allows you to relax before or after you fly and helps take the hassle away from travelling. Whether you are staying for 1 or 15 nights, we have 350 car parking spaces to take the hassle out of airport parking. We also offer a variety of Stay, Park & Fly packages to ensure our guests depart with ease. Please be aware that all Stay, Park and Fly Packages must be reserved in advance and are subject to availability. Click on the image below to avail of the above offers!